The easy way to achieve your dream body. A truly versatile all-rounder. Our Shape Caps are suitable for everyone. Whether you want to look fit or muscle definition is your main concern. Our Shape caps won't let you down. The mix for your dream body. The unique combination of HCA (the spice derived from garcinia cambogia rind, tried and tested over a course of centuries) and pure chitosan derived from natural chitin provides your body with exactly what it needs. L-carnitine provides additional energy as part of a figure training regime. Extracts of guarana and green tea prevent the blood sugar level from rising after a meal and round off the Shape Cap nicely. L-carnitine - transports fatty acid to the "cellular power plants"
The miracle plant garcinia cambogia. 1As a percentage of the reference values for daily intake (= nutrient reference values). Dietary supplements are no substitute for a balanced and varied diet and a healthy lifestyle. Do not exceed the recommended daily dose. Not suitable for people allergic to crustaceans. May contain traces of milk (incl. lactose), soy, and gluten. 4 capsules over the course of the day with plenty of fluid, preferably before each meal. In addition to chitosan and HCA, our Shape Caps also contain guarana and green tea extracts, Q10 and L-carnitine. You can use our Shape Caps as part of a reduced-calorie diet to prevent food cravings. perfect. vegan caps that actually help. finally a good product which helps me to lose some weight. Prevents ravenous appetite and helps with my shape journey and diet. I just placed my order and am excited to see what these Shape Caps can do. Who should use Shape Caps? Shape Caps are the perfect aid for body toning. Shape Caps are most effective when used in combination with physical exercise and a balanced diet. Shape Caps are designed to provide optimised support for a long-term diet. Chitosan and HCA (derived from the garcinia cambogia plant) lie at the heart of our shape caps and they play a central role in the utilisation of fats and carbohydrates. The L-carnitine in the shape caps is ideal for body shaping and figure training, making it the perfect partner for your workouts. Extracts of guarana and green tea round off the whole Shape Cap composition. They support diet-induced thermogenesis and are primarily responsible for energy management processes. Shape Caps are the ideal support for a reduced calorie diet and can contribute to you achieving your body shaping goals. Shape Caps are easy to integrate into your everyday life thanks to the finely tuned ingredients they contain. The key to successful body shaping is maintaining a negative energy balance (calorie deficit of 500 kcal per day). When combined with diet and exercise, Shape Caps can be an effective tool in actively supporting your physical goals. To understand the effect of Shape Caps as a whole, the individual components need to be considered in isolation first. HCA (Hydroxycitric Acid) is derived from the rind of the Garcinia Cambogia plant.. 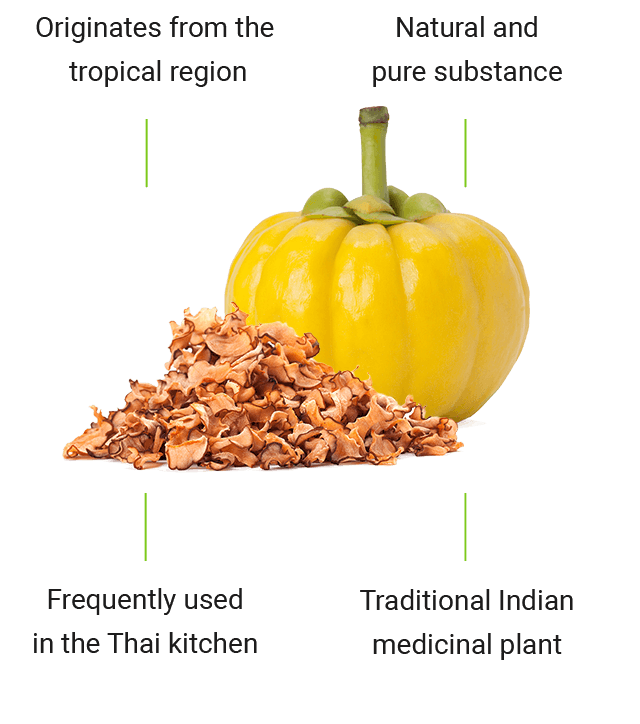 The Garcinia Cambogia plant grows mainly in the Far East and has been used as a spice for centuries. HCA inhibits the enzyme ATP citrate lyase, which plays a key role in energy storage. Chitosan is derived from chitin and in nature can mainly be found in fungi, crustaceans and shrimp. Chitosan is often used in medical products because of its various effects. L-carnitine is a protein compound that is formed in the body from the amino acids methionine and lysine, or can be obtained from food. It plays an essential role in energy management in animal and plant cells. L-carnitine transports dietary fats into the mitochondria where they are used to provide energy. The result: More energy and more successful figure training. The coenzyme, Q10, was for years known as an anti-wrinkle agent. But it is much more than that. Q10 is needed by every cell in your body. Only then can the energy supply for the body be ensured. The coenzyme not only supports your cardiovascular system, it also helps your immune system develop the strength needed for optimised functionality. The muscles also benefit from Q10. It drives the production of the "energy currency" ATP in the mitochondria. This provides optimised support for athletic performance. Green tea is known to contain a lot of antioxidants. These help the body repel free radicals and toxins and improve overall wellbeing. Green tea can also help to raise the body temperature through the thermogenic effect. Getting cold as a result of a calorie deficit is a thing of the past. 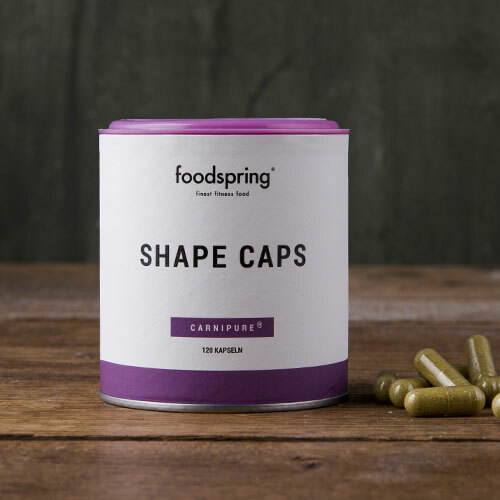 Shape Caps are ideal for anyone looking for a supplement which aids both exercise and nutrition and ensures the success of a figure training regime. And guarana and green tea extracts are perfect for anyone who wants to improve their thermogenesis and increase their body temperature. Guarana and green tea extracts are also excellent antioxidant agents in the fight against free radicals. On training days, 2 capsules should be taken on an empty stomach 30 to 60 minutes before exercise. The substances L-carnitine and guarana and green tea extract have an effect on the body's thermoregulation, particularly during exercise. This can cause profuse sweating because the body is operating at maximised power. On non-training days you can take 2 Shape Caps twice a day. You should take the capsules on an empty stomach 30 to 60 minutes before your next planned meal. Only then can the individual components work effectively. Intolerance of certain Shape Cap ingredients can cause digestive problems and nausea. Generally speaking, Shape Caps are very well tolerated and lactose-free. If you're pregnant or suffer from any acute diseases you should consult a doctor before taking Shape Caps. What do you need to know when buying Shape Caps online? Shape Caps are ideal as party of a body shaping regime. When buying shape caps you should focus on the quality of the ingredients to ensure you are getting a product with an effective mode of action. High-quality, natural raw materials and a high-dose formula are a sure sign of first-class dietary supplements. Valuable ingredients of plant origin can aid the processing of fat and carbohydrates from natural foods. Shape Caps should be free of additional dyes and flavourings, fillers and preservatives. First-class, well-produced Shape Caps should comply with recognised quality standards to ensure a pure and effective end product. foodspring's thoroughly tested raw materials undergo a nutrient-friendly manufacturing process. It goes without saying, that independent quality control is carried out on a regular basis to ensure that our Shape Caps are as pure and effective as possible. What are the effects of guarana and green tea extract? Guarana and green tea have a thermogenic effect on the body. They help regulate body temperature and prevent the “cold” feeling often experienced during a diet. How does L-carnitine help in strength and endurance training? The amino acid L-carnitine supports the transportation of fatty acids to the mitochondria, our cellular powerhouses. This supports the energy supply and promotes better performance in strength and endurance training. 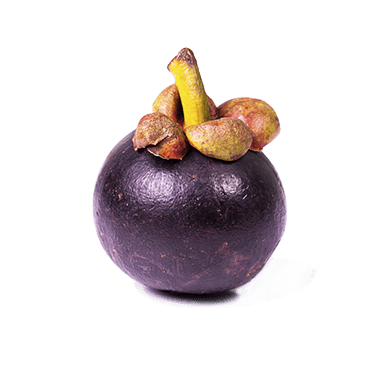 Garcinia Cambogia is a tree that grows in India and Sri Lanka. The extract we use in our foodspring Shape Caps is of the highest quality and purity. Garcinia is often used in traditional Asian dishes, as the main ingredient in delicious curry dishes in India, for example. Ayurvedic medicine uses Garcinia Cambogia as an appetite suppressant and to alleviate digestive problems. Shape Caps will be back in stock shortly.